I've been examining Second Life compatible 3-D sculpting packages that are capable of making sculpts and meshes that are easy to use. But sculpts in Second life require a particular format, and many of these packages don't have them available in the proper format. Some packages make it very difficult to create a sculpt, but are easy to use and free. For example, Daz Studio, a great free package, wants to charge for their versions of compatible sculpts. 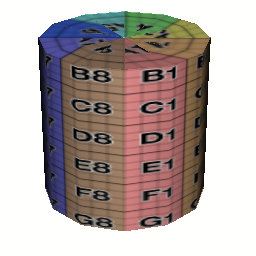 Blender is difficult to get the UV maps aligned. But all these problems go away if you start with a compatible 3-D sculpt already formatted for your package. I made a set of spheres, cylinders and a flat plane that I am releasing to the public domain that can be imported into a large variety of 3-D packages. These cost me several thousand dollars and a month of work, so take advantage and download the zip file of SL compatible sculpt prototypes. 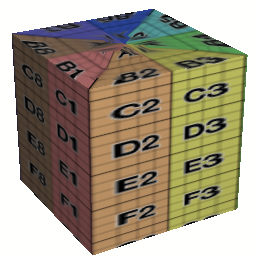 I've included the 8X8, 16X16 and 32X32 point sculpts in 3DS Max, AC3D, Collada, Dive, DVS, Inventor, Povray, and Wavefront OBJ formats. And also a set of 9 reference images in Second life sculpt format. 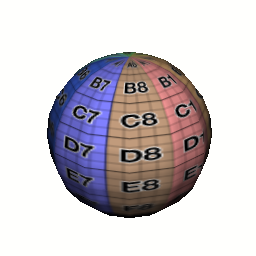 You can import these into almost any 3-D program.